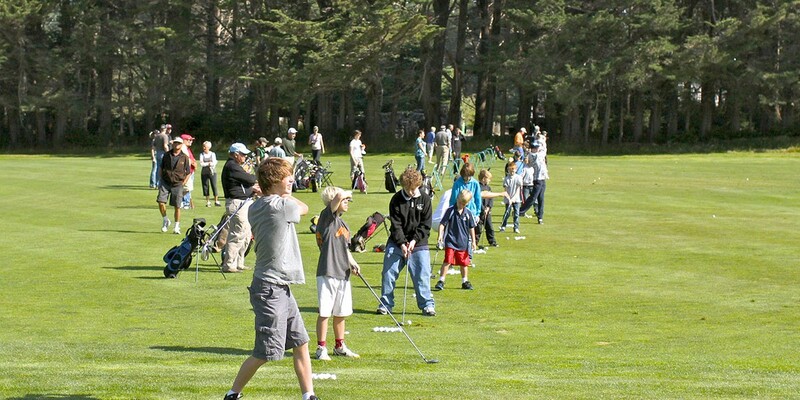 Young golfers tee off early in Bandon. Students in youth golf programs play award winning greens with pro instructors at Bandon Crossings Golf Course and Bandon Dunes Golf Resort. “It’s our way of growing the game and sharing our passion for the game,” said Crossings PGA Professional Jim Wakeman. Youth golf programs are near and dear to any golf professional who started learning the game as a youngster, he added. Programs are designed for novice and experienced players. And students have access to professionals who introduce all the game elements that make for a lifetime of golf enjoyment. Check the event calendar, or contact Bandon Dunes or Bandon Crossings for event dates and details.